Summer has officially ended, and though winter is not in full force, it is not too early to prepare your home for the colder weather. If you live in an area that is already starting to feel a bit chilly, then you have likely taken some of these steps, or are in the process of doing so. If you haven’t, then now is a good time. While preparing your home for the winter will certainly aid in keeping the family warm when it is most necessary, it is also about saving money. When your home is more efficient, you will spend less money on heating costs, for example. Whether you have drafty windows or not, here are a few helpful steps you should take to get your home ready for the winter months. Drafts can be a huge setback for your heating bill, constantly fighting against the furnace and making it work harder to keep up. If you have old windows and have the funds for a wise investment, modernizing your windows may be a great idea. This will not only keep your home warmer in the winter, but will also help increase the value of your house. If at some point you want to sell your property, then potential buyers may consider issues such as leaky windows or doors when deciding to purchase your home. However, if you are not in a position to replace windows and doors but still looking to keep the drafts at bay, this is doable as well. According to the U.S. Department of Energy, weather stripping and caulk are excellent methods for keeping cold air out and warm air in. These items can be found at a local hardware store and will go a long way in keeping your house warm and your monthly heating bills lower. It is important to make sure that your furnace and fireplace are functioning properly. Furnaces can also help keep your heating bills down, as you won’t have to run your heat as high during these times, so making sure it is functioning properly is to your advantage. According to Kiplinger, having your furnace serviced will also make sure there are no carbon monoxide leaks or other problems. The same is true about the fireplace. Over the warm months there can be many items that build up in the chimney and you don’t want to start a fire with the family gathered around, only to learn your chimney is blocked up. Have a service professional check this so that your fireplace is in good working order by the time you need it. 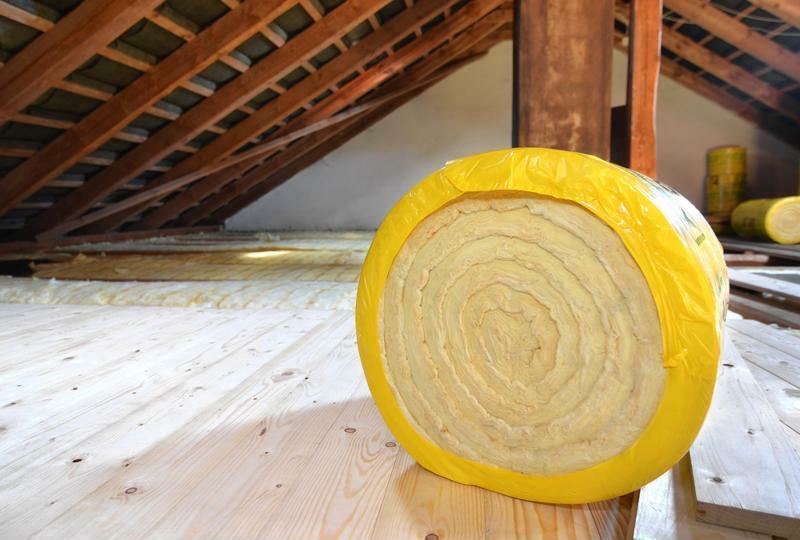 Insulation in your attic can keep your costs down and your home in better condition. Air doesn’t have to actually get through a space to make an impression. For example, even if an attic has no heating vents of its own, it will collect heat that rises from the home during the winter. If you have poor insulation up there, then this could cause a problem. Ice damming is a common problem in the winter. This is what happens when snow melts on the roof of your home due to heat from the attic or top floor. The melted water freezes again at the edge of your roof where the heat doesn’t reach, either because this part of your roof extends over the house or because there are gutters to collect the flowing water. When the water refreezes, it creates a buildup, and this cycle continues all winter long. According to Nationwide Insurance, the way to prevent ice damming is to make sure your attic is properly insulated. If too much heat is getting through then this is when a serious problem can occur for your home. Additionally, when ice dams form, water will start to get into the shingles of your roof, and this can lead to entirely new problems. Assess your home and make sure it is ready for winter, as you don’t want to have a problem once the cold temperatures have really taken hold. Taking care of your home through the cold months will help you save money and value in your home.